Sounds like crazy talk, right? It’s a fairly widely held belief that eating fat makes us fat. Fat clogs our arteries, gives us cardiovascular disease, and makes us pack on the pounds. People dramatically cut fat from their diet and start to see some extra pounds come off, so a low-fat diet must be the healthiest way to go, right? While people do see a reduction in weight when they cut out fat, they would also see a reduction if they cut out carbohydrates or even protein. This is because of an overall reduction in calories, not because fat is inherently evil and ridding our lives of it puts us on the path to health. Fat is a much more calorically-dense nutrient than carbohydrates or protein, clocking in at 9 calories per gram compared to the 4 calories that the other two nutrients contain. And as I’ve said before, weight loss, in its most very basic form, is a matter of calories in versus calories out. So yes. If you cut out fat and don’t fill all those extra calories with more carbs and protein, you will lose weight. But you won’t necessarily be healthy. Fats, like those found in nuts and seeds, avocados, meat, and even vegetable oils, provide a host of health benefits. They provide structure to the microscopic cells that make up our bodies, insulate nerve cells which helps nerve impulses move from one part of the body to another, aid in the production of certain hormones, protect our vital organs, and they make eating FUN. It’s no secret that fat tastes good, and I dunno about you but there’s something about that creamy, dreamy texture that fats provide that I just LOVE. So why all the hatin’ on fat? Well, back in the 1980’s a few reports came out that determined fat consumption, specifically saturated fat consumption, needed to be reduced in order to promote health. This prompted the low-fat craze, with everything from cakes and cookies to breads and dressings being made in low-fat or fat-free versions. But what people didn’t notice that was to make up for the lack of flavor and satiety that fat provided, extra carbohydrates, often in the form of simple sugars, were added in their place. It wasn’t long before instances of obesity and diabetes dramatically increased. As we can see here, there’s an obvious correlation between the government’s low-fat recommendations and the rise in obesity. While correlation does not always equal causation, it definitely gives you something to think about. Thankfully, it appears as though a paradigm shift regarding fats is beginning to take place. The Atkins Diet touted a low-carb high-fat diet as the best way to eat, and more recently, the paleo diet puts great emphasis on consuming fats. The Canadian government is even recommending we increase our consumption of heart healthy fats. But knowing that fat is more calorically-dense than carbs and protein, what’s a weight-conscious individual to do? My biggest piece of advice here is to eat fats from whole food sources. Whole foods include nuts, avocados, olives, grass-fed meats, eggs, and bacon. Yes. Even bacon and eggs. There’s a fear that the high cholesterol content of eggs contributes to high cholesterol on our bodies, but this is an incorrect assumption. Our bodies manufacture approximately 75% of the cholesterol we have floating around inside. Genetics, our activity levels, and our consumption of trans fatty acids (something I’ll touch on a little later) have much more to do with our cholesterol levels than our overall diet. So egg-it-up my friends. And while it should be consumed in moderation (as should everything! ), the saturated fat contained in bacon is also a necessary aspect of a healthy diet, playing a vital role in calcium absorption, protection of the liver, and utilization of omega-3 fatty acids. I’ll take any excuse I can to get some bacon into my day. My next piece of advice is to be mindful of your fat consumption. It’s recommended that 20-40% of our total calories come from fat, with 30% being the average. This is anywhere from 44 – 88 grams of fat for an individual consuming 2000 calories per day. You could eat half of an avocado, 1 tbsp of coconut oil, 1/4 cup of almonds, 3oz of salmon, and 1 tbsp of almond butter and clock in at 64 grams of fat in a day, leaving you room for small amounts of fat from other sources and still managing to stay within the recommended target. Smart decisions like portioning out nuts ahead of time so you don’t find yourself eating a big bag in one sitting, using only as much oil as necessary when cooking, and choosing lean sources of animal protein at later meals when you decide to have bacon for breakfast will help ensure your daily fat content stays within a weight loss-friendly range. There’s a few other things that we need to pay attention to when it comes to consuming fats. You’ve probably heard of omega-3 and omega-6 fatty acids. These are essential fatty acids, meaning our bodies can’t produce them so we need to get them from the foods we eat. Both are an important and necessary addition to a healthy diet, however our consumption of omega-6 fatty acids is MUCH higher than necessary, and this is one of those cases where you can get too much of a good thing. A diet rich in omega-6 fatty acids and void of omega-3 fatty acids can increase inflammation, which has a negative effect on our metabolisms and puts a damper on our weight loss efforts. The recommended ratio of omega-3 to omega-6 consumption is 1:3, but it’s not uncommon for individuals to consume one serving of omega-3s for every FIFTEEN servings of omega-6s. A smart approach here would be to reduce omega-6 consumption by minimizing our use of processed vegetable oils, and increase omega-3 consumption by eating more cold water fish, ground flax seeds, and even taking an omega-3 supplement. I don’t really like to categorize foods as “good” and “bad”, but I’m gonna go out on a whim here and call trans fats, or trans fatty acids, the BAAAAAAAAAAAAAAAAAD fats. These fats are produced as a by-product of processing fats, such as turning liquid fats to solids like we do when we make margarine, or when we heat them to an extremely high temperature, like we do when we’re deep-frying things. Our bodies only have one enzyme that breaks down fat, and when we consume trans fats that enzyme gets distracted trying to break them down and ignores the healthy and essential fats we actually need. So put down the chicken fingers or grocery store pastry and pick up an avocado. Like all things in life, if we learn to practice moderation when it comes to fat consumption we can lose weight, boost our energy, and have happy and healthy insides. If you know me you’ll know my favourite sources of fats are nuts and nut butters, and lately I’ve been loving adding a tablespoon of coconut oil or grass-fed butter to my morning coffee. What are your favourite sources of fat? Did you ever fall victim to the low-fat craze? How do you balance fat consumption with your weight loss efforts? This entry was posted in Diet, Nutrition and tagged clean eating, diet, fitness, food, goals, health, nutrition, weight loss. Bookmark the permalink. 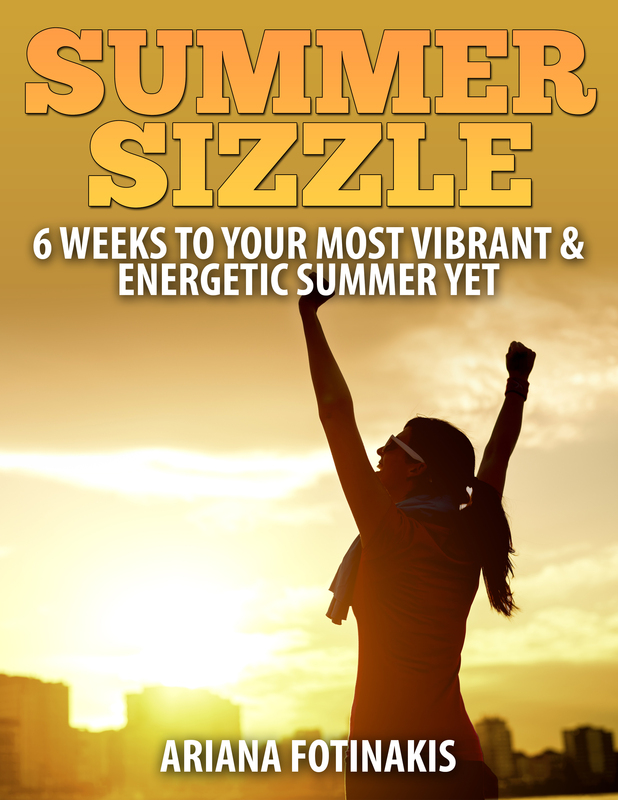 « Build and Burn – 8 Week Muscle Building & Fat Loss Program! So true! I sadly fell for the fat free craze back in the day, but now I’m smarter. As for me, I could eat all the avocados if given the chance! You might like this recipe! Could not agree more. “Low-fat” foods make me stabby. If it were truly as simple as cutting out all the fat from your diet, then everyone would be slim, there would be no obesity/diabetes and the billion dollar diet industry wouldn’t need to exist. It’s a combination of eating too much of the wrong/trans fats and too much sugar. 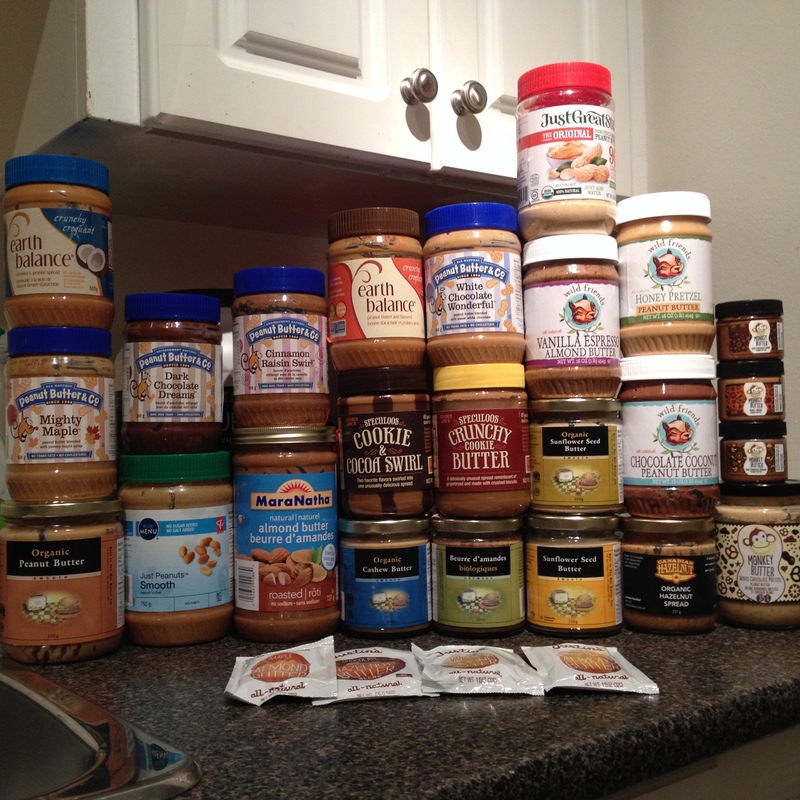 Am also a fan of nuts and nut butters, avocados, eggs, salmon…basically all the whole food sources you mentioned! “‘Low-fat’ foods make me stabby”…love it! I find them very unsatisfying as well and often find myself raiding the cupboard to see what else I can find after eating them. You’re so right about trans fats and sugar. If people picked up a handful of almonds instead of sugar-filled and fat-free yogurts I think we’d be a much happier and healthier bunch.